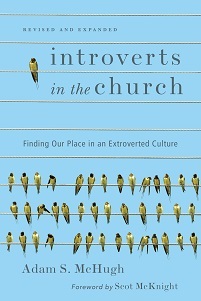 Megan Tietz, author of the wildly popular blog Sorta Crunchy, posted about Introverts in the Church this week. I'm thinking about stealing and trademarking the title of her post - "Prone to Ponder" - which is one of the more brilliant descriptions of introverts I have read. If I really dig deep to examine just what it is about knowing and understanding the Myers Briggs personality types, I would have to confess that it is this: in a very real way, a good understanding of personality types saved my marriage. I realize that sounds dramatic, and I should clarify that at no point have my husband and I been on the brink of divorce, only to be pulled back from the edge once we were able to label ourselves ENFP and ISTJ. But I cannot overstate enough that understanding how the other one views the world has helped us stay open to each other. When you marry your exact opposite, the temptation is always there to close yourself off from the other, writing off your spouse as too hopelessly different to ever understand. Because I now have a better understanding of how he navigates the world (and he understands how I approach life, too), we are able to honor the different ways we are created while at the same time, leaning more easily on the strengths the other one brings to the marriage table. Inter-temperamental relationships is not a topic I have addressed at length in this space, but it is one of the main ways that people discover their own tendencies and learn how to appreciate, not just tolerate, the tendencies of others. My wife and I are also MBTI opposites - I am an INTP and she is an ESFJ - and it has taken us years to come to a place where we stop ascribing moral value to particular temperamental tendencies. There have been times, when approaching a problem or a situation, that it almost seems like she and I are different species, because our approaches are so variant. But there are also times when our contrasting approaches combine to create something truly amazing and we can see and do so much more than we would as individuals. This is obviously bigger than introversion and extroversion. But since this blog focuses on those topics, let's discuss that. Do you have a "mixed" marriage? Are you an introvert married (or dating) an extrovert or vice versa? How has that affected your marriage, both in a good way and a bad way? Also, be sure to spend some time over at Megan's blog, which is smart, thoughtful, and graceful. She has a book coming out soon on Spirit-led parenting. 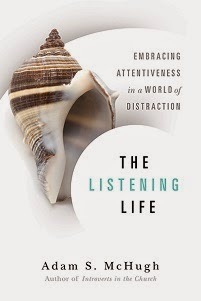 And, if you leave a comment on the Prone to Ponder post, you just might win of of the three free copies of Introverts in the Church that she will be awarding on Monday night.